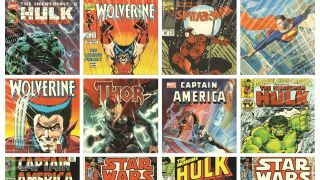 Rarely displayed outside a gallery setting, this is a unique opportunity to see the artwork from some of the most influential and highly-respected figures in the comic book world in an exhibition that is exclusive to Portsmouth Comic Con. Portsmouth Guildhall is the only venue outside of the gallery space to have been granted access to these incredible pieces, some of which come from a limited run of only nine editions. The exhibition also includes signed, limited edition Stan Lee commemorative pieces, which were released to celebrate his 95th birthday.